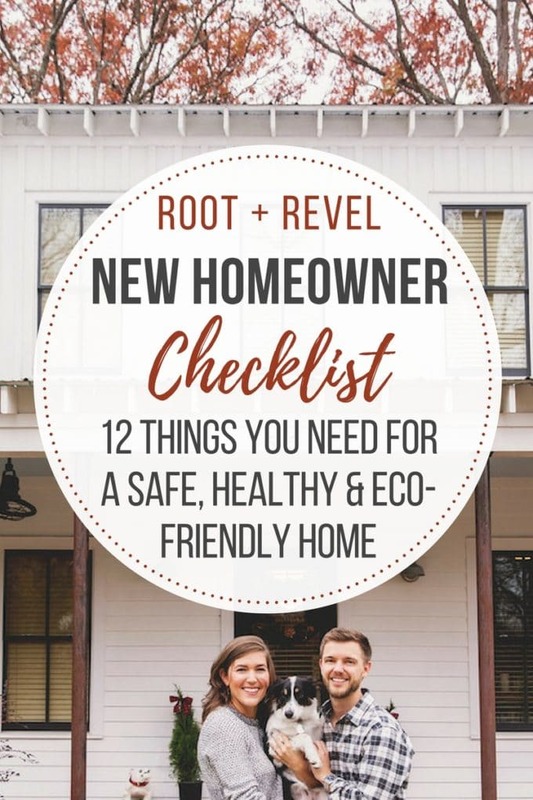 Whether you’re a new homeowner or simply want to make sure that your current home is optimized to support your health, safety and its maximum eco efficiency, this new homeowner checklist has got your back! 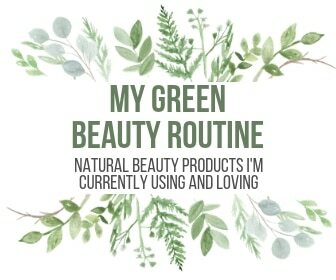 Read on to discover ways you can create your healthiest home while also saving money, protecting your family, conserving energy and supporting the environment. We’ve been in our new house for just over 2 months now and let me be the first to say, dude! owning a home is stressful! This isn’t our first rodeo–we owned a 1950s ranch when we first moved to Atlanta before we sold it and opted for the urban loft life for a bit–but just over a year of renting and I nearly forgot how overwhelming, expensive and freaking exciting being a homeowner can be. Yes, the good and bad can co-exist. Now that we’re mostly settled at our new digs, I’m reminded just how much there is to know and consider when we’re making important decisions that will affect the health, security, and efficiency of our homes and families. To make things easier, we’ve put together this new homeowner checklist to give you ideas you can either act on now, or plan for with future upgrades. Knowing that your home is optimized for your well-being, safety, and eco-friendliness – all while saving money in the long run! – will melt your stress away and allow you to actually enjoy all the pleasures of your newest investment! This feature gives me incredible peace of mind because I can create light schedules so that I never come home to a dark house, turn lights off and on when we’re out of town so it looks like someone is home, and even just ensure I never accidentally leave the lights on and waste energy. Oh and did I mention LED lights save tons of money?! Phillips even has an LED savings calculator on their website that you can use to find out how much money you can save by swapping to LED. 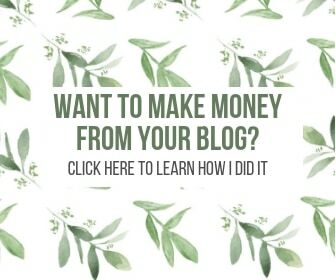 Who doesn’t love seeing tangible savings?! Did you know that your thermostat controls half your energy bill? Upgrade to a smart thermostat to keep your home at its perfect temperature while conserving energy use! My father-in-law owns a HVAC company and he gifted us the ecobee3 Smart Thermostat–so you know it’s a good one! 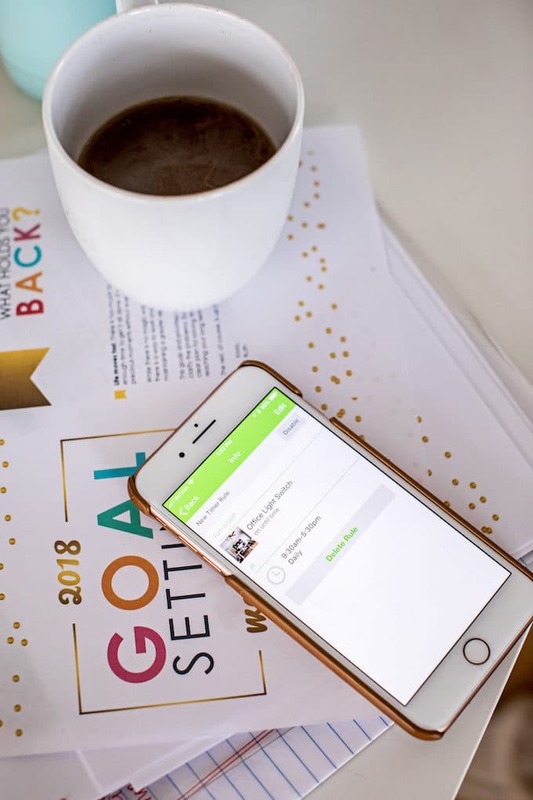 We love it; it understands when to turn on your heating or cooling equipment based on thousands of data points and saves homeowners an average of 23% annually, paying for itself in energy savings! Plus, with the ecobee app, you can change the temperature from your phone, laptop or smart watch. How cool is that!? Drinking clean water is fundamental to good health, but sadly, a lot of our standard drinking water is contaminated. Buying bottled water isn’t a good solution either – it’s crazy expensive and the costs adds up quickly, not to mention that plastic water bottles create an estimated 1.5 million tons of trash per year and pollute the ocean. Drinking home-filtered water is so much cheaper and better for our environment! Whole house filters like these ones from Aquasana give you the peace of mind that all of the water in your house is filtered, so you can brush your teeth, take a shower and grab a glass from any tap in your house without worry. Aquasana uses best-in-class filtering technology to provide maximum reduction in water contaminants, while leaving beneficial minerals such as calcium, magnesium and potassium in the water. The filters are NSF Certified to reduce 66 common water contaminants including over 96% of chlorine and chloramines as well as over 99% of lead, asbestos, turbidity and VOCs. This is a definite must for any home! If the whole house filter is out of budget, start with an under counter filter system or counter top filter. 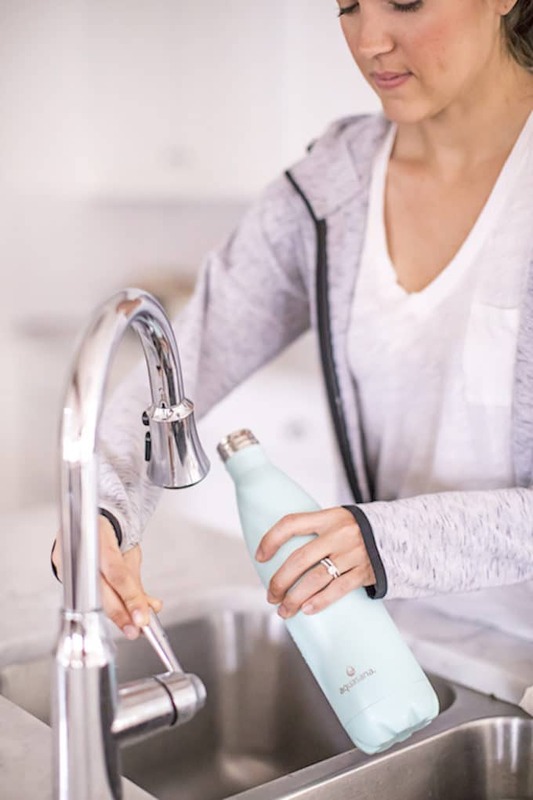 This way, you can at least rely on your main kitchen faucet being reliably clean, and simply fill up your drinking glasses and pitchers from there. If you’re anything like me, you find extreme peace of mind when you’re able to monitor and secure your home. I’ve recently been enjoying next-level security and convenience with Ring’s Video Doorbell! Armed with motion-activated alerts, 1080HD video and two-way talk, Ring lets you watch over your home and answer the door from anywhere through the app. This means that – day or night, rain or shine – you’re always home and can monitor what’s going on right at your doorstep. I also got the Ring floodlight security camera, which we have in our backyard. 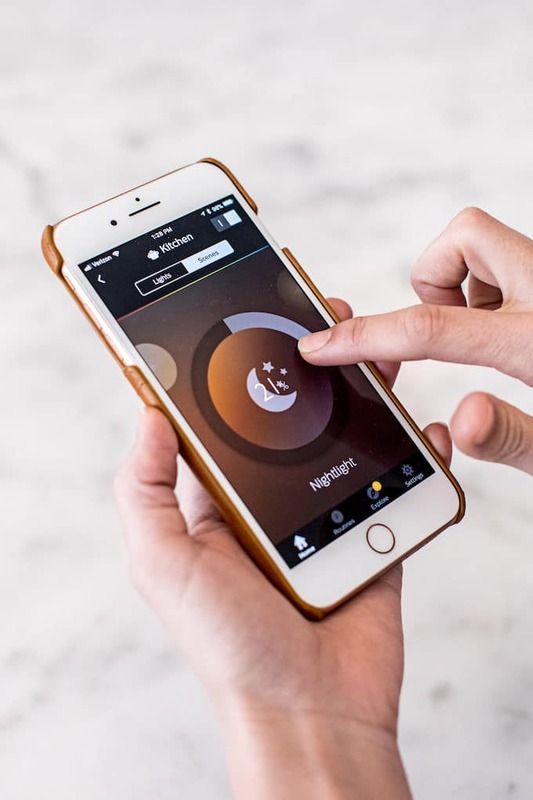 It’s amazing–not only does it provide lighting at night (which is motion activated), but there’s even an alarm feature that you can sound if you catch somebody that shouldn’t be there. I’ll admit, I also love using the camera to keep an eye on our puppy when she’s outside without us. 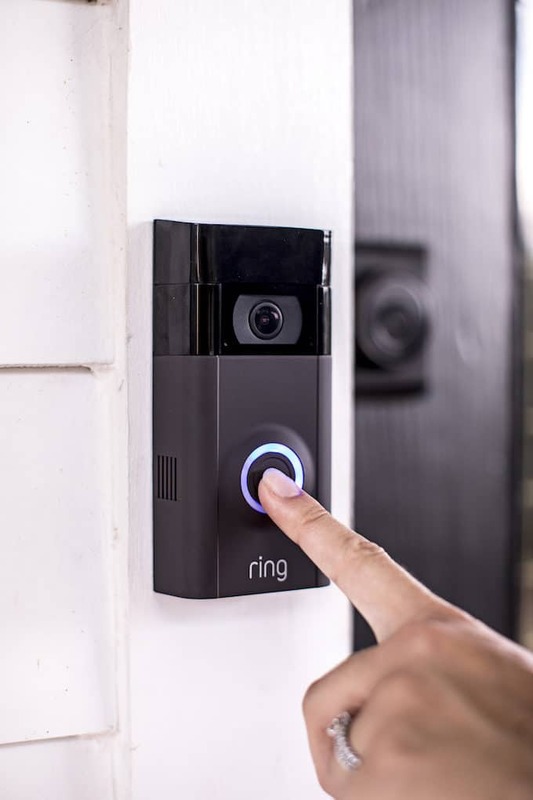 Ring also sells spotlight security cameras and they’re getting ready to launch a comprehensive whole-house security system, which I can’t wait to get! 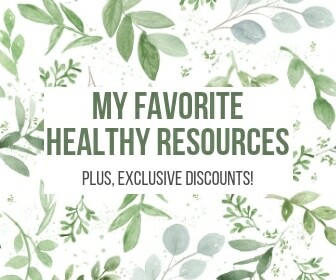 Check out their website to discover all your options! Reduce your utility bill by measuring your power consumption in dollars and cents to see exactly how much particular devices are costing you! Devices like Sense Home Energy Monitor use remote monitoring of your power consumption, energy use and home activity to give you valuable insights into how your particular home operates. How does it work? The Sense Monitor connects to your home’s Wi-Fi network and then reports your real-time and historical energy use to the app, so you can monitor your efficiency and home activity from anywhere. You can name and categorize different devices, set custom notifications for when they turn on or off, analyze how efficient they are, and see what’s going on at home when you aren’t there. Cost calculations are built right in so you can find opportunities to save money and live more efficiently by identifying power hogs, vampire loads, and malfunctioning appliances. Hooray for technology, right?! In addition to the energy efficient LED smart light bulbs we talked about before, there are also smart switches that can help you save. Wemo is great brand that has a range of capabilities: smart dimmers, app or voice controlled timers, smart plugs where you can control your outlets from the app, and more, plus real-time energy reports on your devices to cut costs further. I love being able to turn appliances off from my phone adjust lighting with the click of a button. Even better–I have a schedule set in my office so that lights go on at 9:30 in the morning and off at 5:30 at night to give me a gentle reminder when to start and stop working. Another reputable company to check out is Lutron, a brand that specializes in helping you control lighting, temperature, shade and more. Don’t take clean air for granted! Between our pets, mold, mildew and common allergens like pollen, it’s easy for bacteria and spores to run rampant in the oxygen we breath. With air purifiers like Germ Guardian, we can rest assured that we’re breathing clean air. Germ guardian captures 99.97% of allergens including pet dander, dust mites and pollen. With an added antimicrobial agent to inhibit the growth of mold, mildew and odor-causing bacteria on the surface of the filter, you’ll be sure to keep your home and loved ones healthy with this device. Upgrade to ENERGY STAR certified appliances like washers, dryers, refrigerators, dishwashers, ceiling fans, heating and cooling and more! These appliances will help you save money on operating costs in the long run by reducing energy use, without sacrificing performance. Here’s a list of ENERGY STAR’s most efficient list of appliances for 2017. 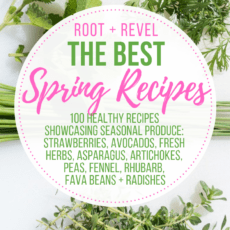 We all know that sleep is one of the most important factors in health, and that simply getting more high-quality sleep can often help hormone problems, immune problems, stress levels and much more. I’ve recently been researching and trying out many different brands of organic and natural sheets and mattresses for an upcoming comprehensive story on non-toxic bedding, and am shocked at some of the dangers lurking in our beds from chemical-laden sheets and mattresses. Given how much time we spend sleeping, upgrading to safe bedding is a big priority! A couple of my favorite mattress brands are Avocado Mattress and Loom & Leaf. Avocado Mattresses are made on-demand from 100% natural latex rubber, natural wool and certified organic cotton with no polyurethane foams or toxic fire retardants. They’re also largely recyclable and biodegradable for when the time comes for a new mattress (after their 25-year warranty)! We’ve got one of their queen mattresses in our guest room and it’s so plush and comfy with the added pillow top. 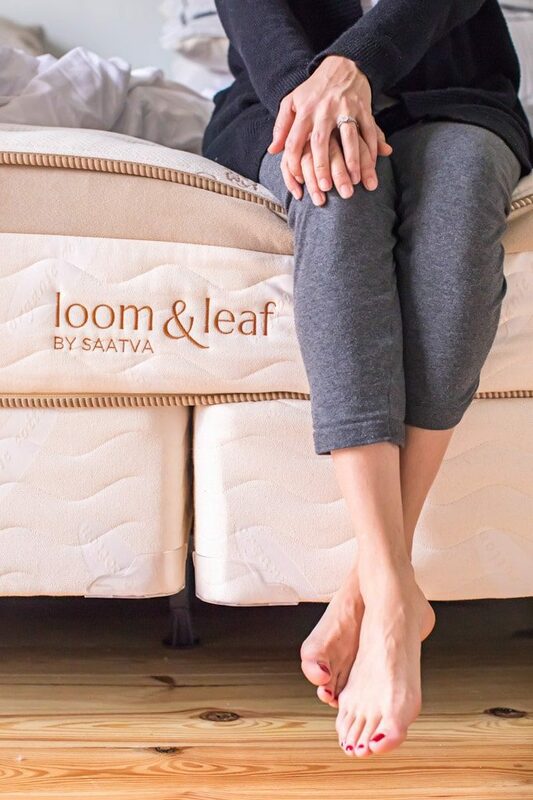 Loom & Leaf’s ultra-luxury eco-friendly memory foam mattresses are made in the USA with a breathable, organic cotton covering and natural thistle flame retardant to keep you comfortable, cool and safe. You get to pick from two firmness levels and the mattresses all work with traditional and adjustable bases for support at all angles. We’ve got Loom & Leaf’s King mattress in our master bedroom and I’ve never slept so soundly–we went for the firm, which is still soft and cozy, but with plenty of support. On my wishlist is their adjustable bed base, which allows you to raise your feet and head for optimal TV watching and reading, without the neck pain. For sheets, there are many I’ve recently tried out that I love, but my favorite is Cariloha’s sustainable Resort Bamboo Bed Sheets with an ultra-soft sateen finish and thermal regulation to keep you warm in the winter and cool in the summer (yes, really!). These sheets are seriously so soft, comfortable and luxurious! And their Bamboo Charcoal Memory Foam pillow is seriously the most comfortable pillow I’ve ever used! 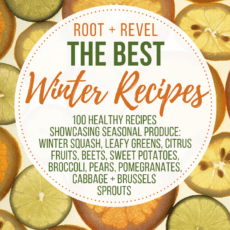 BONUS: Cariloha is giving R+R readers an exclusive 20% discount site-wide, now through February 28th! 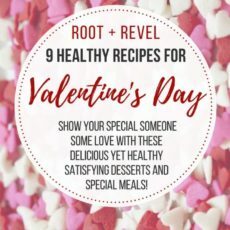 Use the code ROOTANDREVEL20 at checkout. Attention all gardeners: this CompoKeeper Food Scrap Collector is for you! 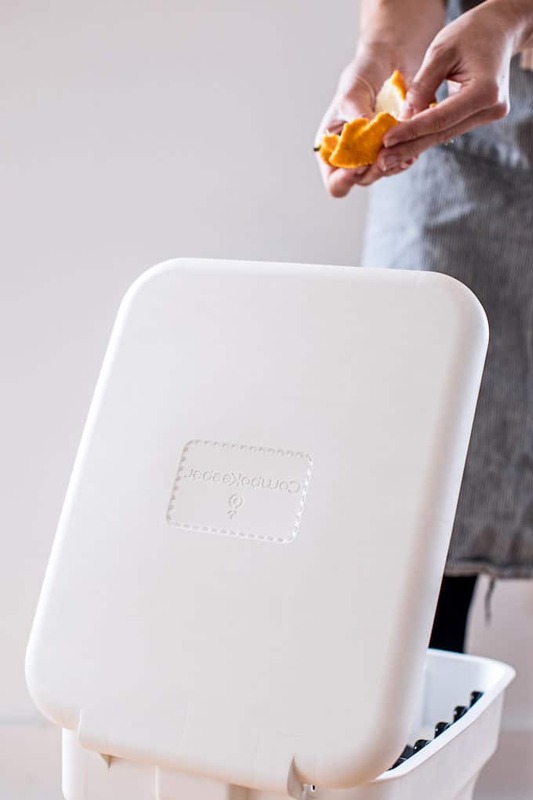 This innovative kitchen compost bin keeps odors in and bugs out. Hands-free with interlocking bag clamps and a removable tote to take out waste without dripping, this scrap collector is a sustainable gardener’s dream. I know it might sound crazy, but we’ve been composting for a few years now and even without a garden to use the compost on, I feel so great knowing that I’m repurposing our waste and reducing our carbon footprint. Not only that, but it reduces landfill waste and incineration, in turn reducing greenhouse gas emissions. Amazing what simply throwing your banana peels in the backyard can do, right? Want a stellar looking yard but don’t want to waste water? Enter smart sprinklers. On my wishlist: Rachio’s Smart Sprinkler Control, which is wi-fi enabled, allowing you to control your sprinklers through the app. Enjoy customizable and automated schedules based on your unique yard’s needs, and even save water with auto-skips when rain is predicted. Save up to 50% on your outdoor watering bill with this WaterSense certified technology and check with your local water provider for rebates (often up to 100% of retail value!). I don’t know about you, but fumbling with my keys at the front door while my hands are full of grocery bags and my yoga mat is a real pain the arse. Never mind the fact that I can never find mine keys in the black abyss that is my purse. That’s why we upgraded our door locks with with smart deadbolts–I’m obsessed with our Schlage Sense. Simply enter an access code on the touchscreen to unlock the door. 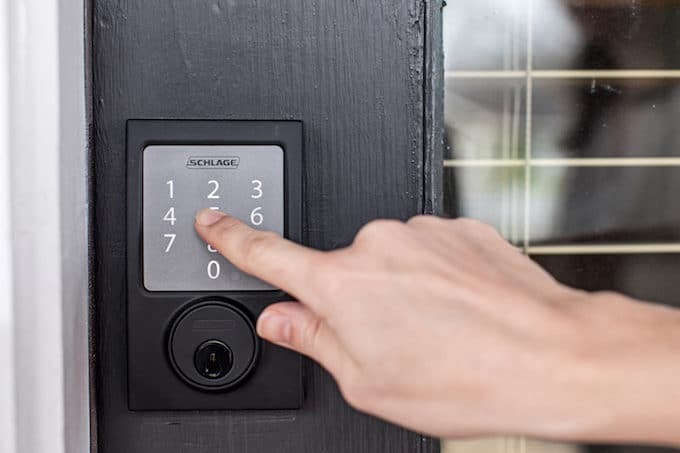 You can share access with trusted friends and family with just a few taps – no more keeping track of spare keys – plus you can lock and unlock your Schlage Sense Smart Deadbolt from anywhere using their app. Hello, convenience! What are your must-haves as a new homeowner, or for smart, sustainable and safe home upgrades? Let us know your tips in the comments below! Thanks for this wonderful list. 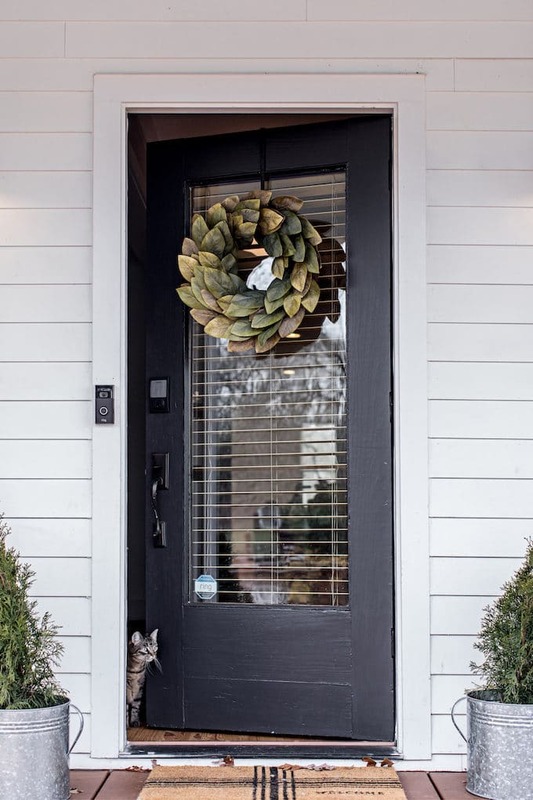 These are all must-have for new homeowners. You’re so welcome, really glad you enjoyed the post! 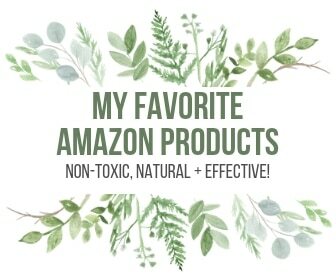 Thank you for the tips and links! I’m staring to plan my move into a new home. Thank God I found this early! My sister moved to a new house without a thermostat. I CANNOT live in a place like that at all. I’m very picky about the temp in my house.